Once upon a time, pixels and points were happily married. In the days of the Mac Plus and, a bit later, 17” 1024x768 CRTs, developers could expect a 10 pixel line would be 10 points long. This seems rather esoteric, but many of us still carry habits and assumptions from that old world. Happily I just wrote up a refresher for my own use, so I’m happy to share :-). A pixel is an attribute of the computer screen. Higher resolution screens have smaller pixels. A point is a unit of length with a laughable history. The current “point” is the “DTP” point popularized by Warnock/PostScript – 1/72 of the anglo-saxon “inch” . A 9 pixel font that was readable at 1024x760 on a 17” CRT would be about ¼ the size on iPhone 4. Obviously, it would be unreadable. Of course that wouldn’t happen right? Developers would specify everything in points and apps and OS would translate to pixels properly. In practice the latter happens a lot – often for good reasons . OS X 10.6 applications, for example, have fonts that render at too small points on a 108 ppi display. XP is similar. Windows 7 and OS X were supposed to both be resolution independent, but it didn’t seem to take . Things are different on new age computers. The Droid, iPad and iPhone expect and respect points, not pixels. That’s good, if they didn’t then documents would be unreadable on those high PPI devices. 72 has a LOT of divisors. That’s probably why it was chosen. PPI is pixels per inch, not points per inch. Unfortunate ambiguity there. I might be close to a use for Twitter, bringing Google Reader closer to what Buzz should have been, and distancing Facebook. The most important of these is distancing Facebook. For the past year I've been reluctantly using Facebook. Why reluctant? It's not distrust. I trust Facebook completely. I trust Facebook to lock in my data, and to exploit any information I provide. So while I like some of the things FB gives me, I want to keep it at a good distance. I want to be able to leave at any time, and I don't want to entangle friends in FB's world. My latest solution is to combine blogger with the misnamed twitterfeed social network routing service. Twitterfeed consumes feeds, and generates output updates to (currently) Facebook, Twitter, Ping.fm (a rival actually), Loconica/Status.net and Hellotxt (another rival). Unlike rivals I've looked at before (Ping.fm), twitterfeed understands and implements Oauth and OpenID. Twitterfeed doesn't Fail by storing my credentials. Twitterfeed does all this with modern authentication protocols - I never gave 'em a password. I write my posts using blogger tools and the updates show up, about 30 minutes later, in Facebook (no pubsubhubbub or even ping support yet - hence the delay). They come out pretty well in FB. In a related experiment I'm using twitterfeed and my little used twitter account to create prefix-tagged tweets from my Google Reader Shared Items. So far I'm just experimenting, but I might find something useful there. (Back when it worked, I used to share the Reader Share feed with Facebook -- see the long list of post refs below for other permutations). This approach looks promising, but of course Facebook may break it at any time and, sooner or later, Twitterfeed will either run out of money or become part of Google or Twitter. In the meantime I continue to wait for Google to publish a GR Share API (maybe as a special case of a Buzz API, though I fear Google's tweet to Buzz feature will forestall this). Then someone is sure to make it possible to tweet to Google Reader notes. Update: The Twitter feed of shares doesn't really fly. It chops off my annotations, and the link, of course, goes to the unannotated original. Update 10/26/10: I switch to using Feedburner to do tweet my reader shared items. I thought it would be easy to choose OS X based typing tutor software for our kids. The more I looked though, the weirder things got. 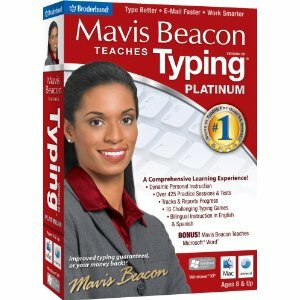 I found a plethora of “Mavis Beacon” tutorial software from different vendors. Turns out it’s all related to the late 20th century collapse of the American empire (seriously). 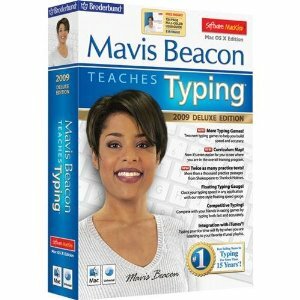 The Apple store also sells MacKiev – Mavis Bacon Teaches Typing 2009 Deluxe Edition for $40. As far as I can tell the MacKiev product is the only Mavis Beacon version that actually works on OS X. The others just sort of flail about. The working Mavis Beacon app is, you will note, twice the cost of the current Encore version. Amazon also sells Typing Instructor Platinum “for Mac OS X Intel” but the limited number of Mac reviews are very negative. In the shareware side we find a few programs still being updated. Some of them have very crude UIs – probably Java apps. My current conclusion is that that you should either buy Mavis Beacon/MacKiev for $40 or try out some of the < $14 shareware options (free is good too). The product description is confusing, but you can see the product name on the pictured box. MacKiev has a real web site. This Ukrainian company now sells Print Shop, World Book and Kid Pix. I wonder if they’re buying up old decrepit Mac titles and refurbishing them. If so, that’s an interesting business model. Update: I looked at the lower cost and shareware apps and decided they wouldn't work for our needs. 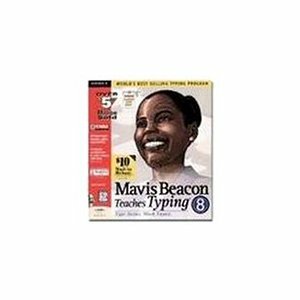 I'll probably buy Mavis Beacon the next time I have an Amazon order or I drop by an Apple store. There's an update on the MacKiev site you should install. Update 4/25/2010: If you can live with Flash the BBC has an app for teaching typing (thanks Andrew). In retrospect I erred in my searches by searching on "OS X" and "typing tutor". It should have occurred to me that this type of service is a natural for migration to the web. A search on "typing tutor web" finds a lot of solutions, including "typingweb". Strangely, the BBC's Dance Mat typing doesn't show up until the bottom of page 4 in Google -- which in search terms is the nether world. There's some evil search optimization going on here. Update 4/30/2010: The BBC app isn't bad for free, but I want my kids to learn. That Flash app pales next to a well done desktop product. So we bought the $40 MacKiev Mavis Beacon product. I need to connect a game console to a computer speaker system. This requires some cable voodoo. I ordered the second one because I needed a bit more versatility. PS. The mess of a adapters and cables cost half as much as the Logitech computer stereo system. The profit margin on cables is impressive. auto-orientation on my iPhone: Mostly it guesses wrong. horizontal scrolling surface on the magic mouse: Mostly it guesses wrong. These commands are entered on the command line of the Terminal utility application. You must either restart your computer or connect and disconnect your mouse for these changes to take effect. To connect/disconnect you power cycle the mouse; it's helpful to have the OS X mouse pref pane open to see when it's disconnected and reconnected. Reconnection can be slow. It's beautiful to have lateral scrolling disabled. Just beautiful. Update 6/17/10: Even with lateral scrolling disabled, I still came to despise the Magic Mouse. Finally I gave up on it. One minor annoyance: I noticed on both computers that my display's custom ColorSync profile setting had been forgotten. I had to go into System Preferences - Displays - Color and select the correct profile. Please see also the report concerning the three Snow Leopard bugs originally identified and reported in TidBITS. Two of them are fixed by this release (great, that only took 7 months), but one, a serious bug where attempting to Finder-copy a file bundle via File Sharing, is not fixed. http://db.tidbits.com/article/11123"
The Tidbits article link reports fixes to an Apple events bug and a Preview bug. I still can' recommend upgrading to 10.6 from a happy 10.5 machine. At this rate, it won't be respectable before 10.6.5. Apple is struggling to keep all their balls in the air. There's been no mention of a fix for the USB/firewire external drive system lockup bug.